NO! 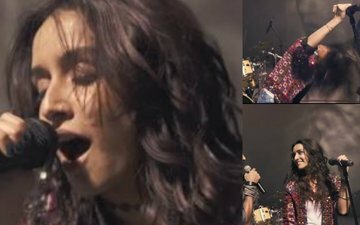 Did Shraddha Kapoor Just Ruin The Classic ‘Rock On’ Title Track As Well!!! We have had enough of ‘besura’ singing from Shraddha Kapoor. It’s time that people shout out to her and Say ‘Stop’! Rock On!! 2's latest number is a big disappointment yet again! Up till now, we were still recovering from the disappointing album of Rock On!! 2, and now here’s another shocker. While Farhan Akhtar who had sung the first version as well has maintained his tempo in this one too, Shraddha has just spoilt the classic with her voice. The only thing you will see her doing in the song is a head bang! Girl, there is more to a rock band than just head banging!!! Wish Shankar-Ehsaan-Loy, who have composed the music for Rock On!! 2 spent some more time with Shraddha in the recording studio to polish her vocal skills a bit more. As far as the video is concerned, the band is seen singing the song in a closed enclosure. Their visuals are splashed over buildings. Arjun Rampal is easily unnoticeable as he stands with his guitar in one corner wearing his black shades. BTW, we only recognized Arjun Rampal when Farhan walked up to him with the mic. We don’t blame him. Look at Shraddha jumping all around in the video. What else would one do but stand in a corner. Isn’t it? 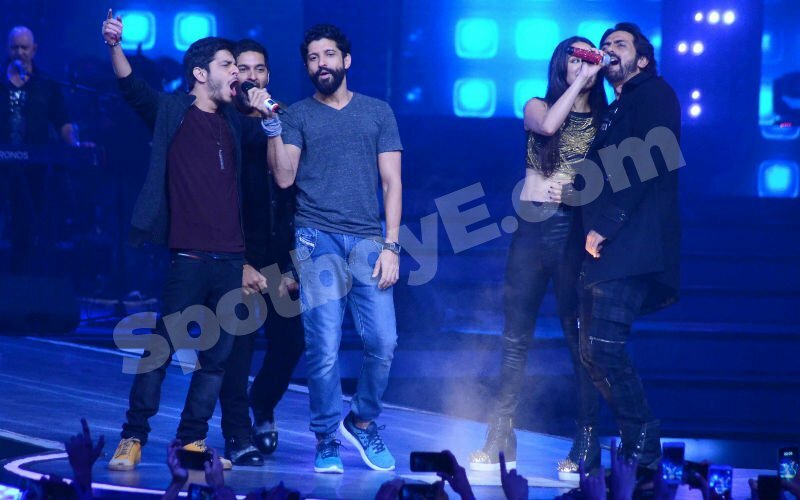 Maybe even Arjun was amazed with Shraddha’s head bang! 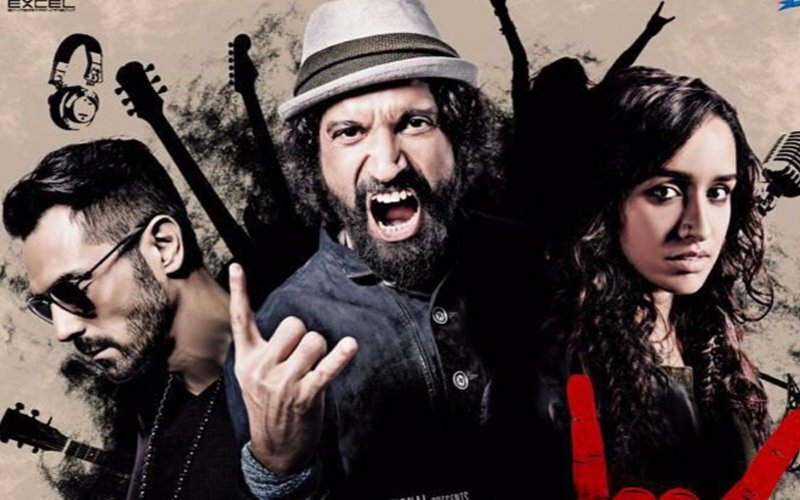 The American Tour Of Rock On 2 Shelved Due To Money Trouble? 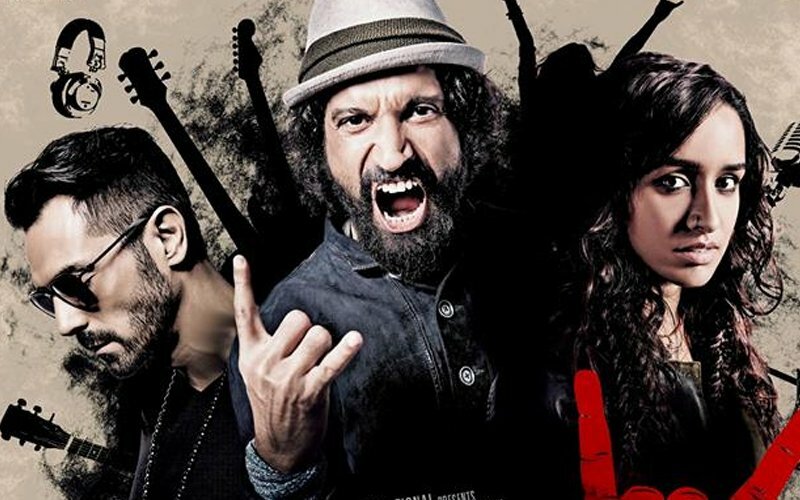 Rock On 2 Teaser: Magik Is Back!